Personally, a stinky guy is a great guy, it means he is hard working but beyond that, Pa-la-ease get cleaned up! I appreciate your work but your stank has to go! I love that clean smelling guy that has a cologne that lingers with out smoking you out with scent. Are there any HERO grooming products out there that are not old school aftershave or soaps that make you gag on the waft that is left long after the guys have walked out of the proximity because that is so gross! I do believe I have found a winning brand for you to lavish your guys hair and skin with! Lavishly live the smell of your honey out loud with out smelling it for the eternal ever-after and let your guy smell like great and actually work well. One of the hardest things to find for guys are grooming products that actually work, don’t flake and most certainly offer the look that they want styled with. IF you can find a product that delivers and does not offend the olfactory that is the battle won and HERO in this case Eufora Hero is the HERO of this story! Holding Paste- This provide texture and body with a natural finish and a medium type hold. Think of the guy in your life that wants a naturally swept up look, this will accomplish. The scent, light and the petrolatum free formula is easy to wash off of the hands and hair, making it a great styling tool. This is used in dry and wet hair, their choice. Pliable Promenade – have a guy that love to spike or slap shot that front area? This is the stuff HERO’es are made of, lol. Truly a strong hold that will not crunch up that hair, and it even adds a bit of texture and shine. No grease here and free of petrolatum which means easy clean up off of those styling man hands and out of the hair. Again, dry or wet hair styling, with a great clean scent. Guys have some of the funkiest short cuts, but they are only as good as their styling tools and Texture Putty rocks strong hold and a matte finish. Slick longer hair back, mash up that front bang, or separate those layers, whichever your guy has, this handles and it cleans with ease. This is for that Wet Look on that longer, swept back hair or for that shorter hair that wants to show a ‘wet’ look. Maximum hold combined with a healthy shine is what this squeeze bottle offers! This is the go to for those guys that a)want a non-committal hold, but a managed look or b) have a curl and want to lightly tame those suckers. This is an anti-humectant and it controls frizz. There is no greasiness, stiffness or stickness, just styling that makes them look like they stepped out of a salon. Any of the Eufora Hero products are perfect stocking stuffers and will allow your guy to lavishly live grooming out loud! *product provided to facilitate write up. 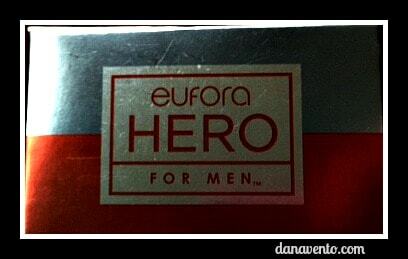 Hero brand is perfect for men grooming. It provides soft and comfortable shaving. This product has some extra characteristic to others. Love it and enjoy. Great review. Hero products seem promising even more after reading your post. Should give ’em a try. Thank you. Hero brand looks interesting I need to give them a try.